The PIMCO 25+ Year Zero Coupon U.S. Treasury Index Fund is tracking the total return of the BofA Merrill Lynch Long US Treasury Principal STRIPS Index. The current yield is 2.74%. The total net assets are $196 million. Its expense fee is only 0.16%. 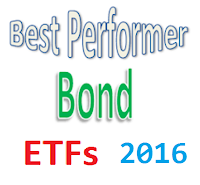 Morningstar has ranked this top bond ETF in 2016 with 5 stars rating. In 2016, it has year to date return of 11.52%. This PIMCO fund has returned -4.36% over the past 1 year, and 9.71% over the past 3 years. This fund has an effective duration of 27.43%. This Vanguard Extended Duration Treasury ETF is an index fund. This exchange traded fund invests in zero-coupon U.S. Treasury securities (Treasury STRIPS), which are backed by the full faith and credit of the U.S. government, with maturities ranging from 20 to 30 years. With assets of $1.19billion, it has a yield of 2.89%. The current share price is $124.84. 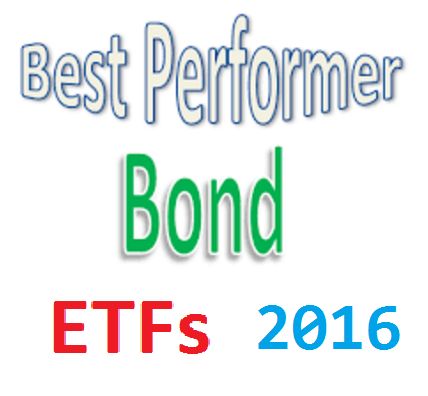 As one of the best bond ETFs in 2016, this fund is ranked with 5 stars rating by Morningstar. This fund has a low expense fee of 0.10%. In 2016, it has year to date return of 10.28%. The 3-year average return of this fund is 9.09%. iShares 20+ Year Treasury Bond ETF is categorized as a long government bond fund. This bond fund utilizes its assets to purchase the bonds of the underlying index and at least 95% of its assets in U.S. government bonds. The yield is 2.48%. Its annual report expense ratio fee is 0.15%.